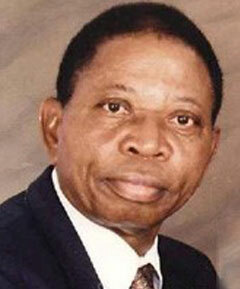 Dr. Emmanuel Ademoyegun Akinrinade is the founder and current Chief Medical Director of St. Emmanuel Hospital. He obtained his M.D degree from the University of Brussels in 1969 and later proceeded to do a Post-Graduate Course in Tropical Medicine at the Institute of Tropical Medicine in Antwerp, Belgium. Dr. Akinrinade returned to Nigeria in 1971 and worked with the Lagos State Government at the General Hospital Marina and Lagos Island Maternity Hospital respectively. He had always had a vision of contributing his own quota to excellent medical care delivery in Nigeria. In 1976 - St. Emmanuel Hospital was established. Over the past 30 years, he has managed the growth of St. Emmanuel Hospital and provided strategic oversight to the overall goal of St. Emmanuel Hospital - which is to be a caring healthcare provider to all its patients. Dr. Akinrinade’s contribution also extends to the extended community at large. He is actively involved in several community development efforts both in the Isolo area and also his home town Modakeke. He has been at the forefront of facilitating the establishment of a Modern Dental Clinic at the Cathedral of Blessing (MCN) Palm Avenue where he was Chairman of the Medical Committee for several years, and still remains the Medical Adviser. He has also contributed immensely to the provision of Infrastructural facilities to the Saint Stephen’s Cathedral, Modakeke. He is an active member of The Nigerian Medical Association, The Healthcare Providers Association of Nigeria and Association of Private Medical Practitioners in Nigeria. Dr. Akinrinade is married to Mrs. Tinuola Iwalola Akinrinade and they are blessed with 5 children - three of whom are in the Medical Profession. Dr. Olalekan Adebayo, a 1998 MBBS graduate of Nigeria’s premier university – University of Ibadan, joined the services of St. Emmanuel Hospital on January 1, 2002. Prior to joining the hospital, he had gained a lot of clinical experience in a number of hospitals. By reason of his versatility and commitment, he was promoted to the rank of a Senior Medical Officer on January 21, 2008 and thereafter, elevated to the position of Deputy Medical Director in 2012. He is well-experienced in Clinical Administration and has the oversight function of seeing to the smooth running of all departments. Mr. Adelakun obtained his first degree from the University of Ibadan in 1995 after which he acquired a Post-Graduate Diploma (PGD) in Management from the University of Calabar in 2002. He later proceeded to the Lagos State University for his MBA in Human Resource Management. 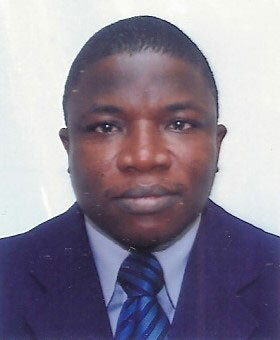 He is qualified Associate Member of the Chartered Institute of Personnel Management of Nigeria. 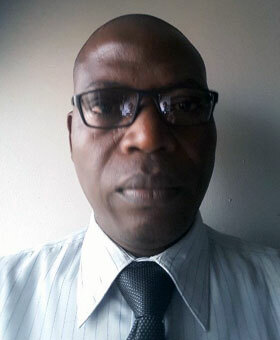 A skilled business professional with versatile human resource management & general office administration dexterity experience in diverse settings - both medical and non-medical establishments, Mr. Adelakun started his occupational career in 1997 with the Records Department of the Staff Hospital of the International Institute of Tropical Agriculture (IITA), Ibadan. In 1999, he relocated to join Emel Hospitals in Festac Town, Lagos as the Records Officer where he spent almost six (6) years. He was appointed HR & Admin Manager of Nordica Fertility Center, Lagos in 2005 and later joined Multi-Trex Integrated Foods Plc in 2008 as the Manager, HR & Administration for four (4) years. 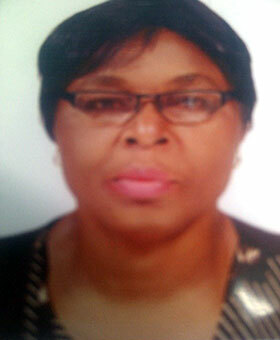 Mrs. Mbagwu has been the Matron of St. Emmanuel Hospital since January 7, 2008. A well-experienced registered nurse & midwife of over three (3) decades, she has worked in both government and private hospitals, acquiring lots of experience in nursing and the administration of nurses. Before assuming office at St. Emmanuel Hospital, she was the Head, Paediatric Nursing of Eko Hospital and later, Assistant Matron of Libra Specialist Hospital, Surulere.